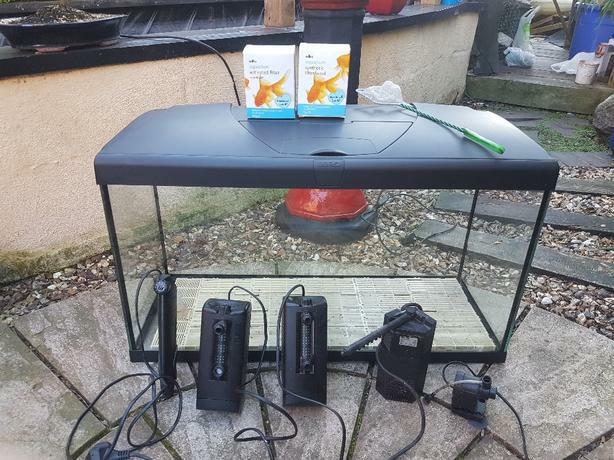 Fish tank with extras including 3 internal filters, powerhead, under gravel tray, heater. Tank size w785mm x d300mm x h420mm, 475mm with hood. All you can see in the photos, selling at £60 for quick sale or swap for 50+ ltrs of k1 filter media.